"He has Risen! Just as He said!" 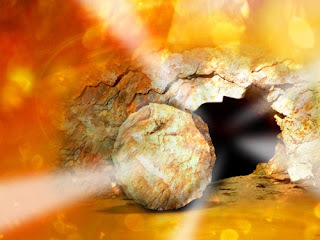 He knew that He would rise on the third day. He embraced the cross knowing that He would be lifted up from the grave. He knew that He would sit again at the right hand of the Father. The God of Jesus truly missed being with the Father in heaven. Jesus knew His entire mission. Our mission is similar. We also have the promise of seeing the face of God. We too have the prospect of spending eternity in the presence of the Father. This GIFT is not earned. This GIFT is freely given to us! He will give you eternal peace from this world. He gave for us all. It is 'Good Friday' or some call it 'The Day of Darkness'. At our church, it's called the service of darkness. It is the time we reflect when Jesus was crucified on the cross. He gave a tortured, bleeding, humble sacrifice....so that we may have eternal hope. A hope for something much better than what we have here on Earth. A hope to carry with us as we do travel on our journey while here. A hope that love will prevail forevermore. 1-3 So Pilate took Jesus and had him whipped. The soldiers, having braided a crown from thorns, set it on his head, threw a purple robe over him, and approached him with, "Hail, King of the Jews!" Then they greeted him with slaps in the face. 28Jesus, seeing that everything had been completed so that the Scripture record might also be complete, then said, "I'm thirsty." 29-30A jug of sour wine was standing by. Someone put a sponge soaked with the wine on a javelin and lifted it to his mouth. After he took the wine, Jesus said, "It's done . . . complete." Bowing his head, he offered up his spirit. Tonight was "Holy Thursday" or some call it "Maundy Thursday". What this day tells us is that we should serve the humanity, it teaches us to bring peace and harmony in our community. During the Last Supper, Christ shared wine and bread with his followers. Jesus Christ washed the feet of his own disciples during that meal. The church and believers have been doing the same act of humility (washing of the feet) showing Christians servitude to humanity. 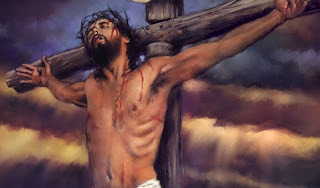 Remember the passion of Jesus Christ. 3Jesus knew that the Father had put all things under his power, and that he had come from God and was returning to God; 4so he got up from the meal, took off his outer clothing, and wrapped a towel around his waist. 5After that, he poured water into a basin and began to wash his disciples' feet, drying them with the towel that was wrapped around him. 6He came to Simon Peter, who said to him, "Lord, are you going to wash my feet?" 7Jesus replied, "You do not realize now what I am doing, but later you will understand." 8"No," said Peter, "you shall never wash my feet." 9"Then, Lord," Simon Peter replied, "not just my feet but my hands and my head as well!" 10Jesus answered, "A person who has had a bath needs only to wash his feet; his whole body is clean. And you are clean, though not every one of you." 11For he knew who was going to betray him, and that was why he said not every one was clean. Father, make us clean. Help us to always have a clean heart and a heart of servant-hood. I pray for those that need their 'feet washed' by you so that they may be clean. Help us to accept the opportunities that cross our path and be like you. Teach us to be helpful and kind to others. Please touch the hearts of those that are hateful; clean them from their feet to their head so that they may be wholly clean and pure for you.